What is the daily school schedule and when do school breaks occur? School doors open at 8:25 am and lessons begin at 8:35 Monday through Friday. Parents walk with their child/children to their classroom door and sign them in each day. Most mornings children are in lessons until lunch. Some days children have specials scheduled either in the morning or afternoon; our specials’ schedule is determined in August, shortly before school begins. Our day finishes promptly at 3:00 pm when children gather in the upper elementary hallway awaiting parent pick up/sign out. Our annual calendar typically follows the 9R and charter school calendars, with some minor variations. We do not have early release. What do children eat during the school day? Children bring a lunch and snack from home each day. We support healthy nutritious choices and encourage children to eat and drink adequate amounts to keep themselves nourished. Whatever remains uneaten is sent home so that parents can help to identify how much and what their child is eating each day. Additionally, children bring a water bottle to school that they drink from throughout the day. We discourage the sharing of food between children during lunch and snack time to diminish the spread of germs and to assure that children are eating what their parents are packing for them each day. We encourage children to deliberately eat slowly and in a social manner, recognizing that the experience of eating together builds community and friendships. What specials’ classes do children attend at Durango Montessori? Durango Montessori has a partnership with the 9R Shared School program in which we share specials’ teachers for the following classes: art, P.E., music, computer and research, and cultural studies. Additionally, we provide classes on peace education through a Montessori certified teacher. Finally, we also partner with the Stillwater Foundation to provide children the opportunity to learn and play contemporary global music on traditional and non-traditional instruments including Caribbean steel drums, Brazilian Samba drums, Afro-Cuban percussion, electric and acoustic guitar, electric and acoustic bass, piano and keyboard, woodwinds, brass, marimba and vibes. What kind of certifications and training do teachers at DMS have? All Durango Montessori teachers are state certified teachers and all have received some form of Montessori training. Some teachers have received in-house training from our certified Montessori teacher trainers; some have obtained their formal Montessori certification. For our teachers who have both their state and Montessori certification training they have spent a total of four years (minimum) of training to be both state and Montessori trained. To become a formally trained Montessori teacher individuals must travel to remote sites; the closest certified Montessori training program is located in Boulder, Colorado. We have a student teacher ratio of twelve to sixteen students to one teacher maximum. Additionally, we often have interns, practicum students, private tutors, and teaching assistants available to provide additional support during the school day. What additional costs are there that I can budget for during the school year? We make every possible effort to ensure that our tuition remains affordable. Currently we charge a $225 annual registration fee, and $565 in tuition per month for a ten-month school year (annual cost: $5,650). We will provide most of your child’s school supplies, but we do ask that you purchase some-a short list will be provided to you at the beginning of the school year. You will be asked on occasion to pay for a special field trip. We hold two to three fundraisers each year at which time we raise money for our financial aid program and our Stillwater Music Program. Additionally, you may choose to fund our community support efforts during the holiday season; in the past we have collected funds for Project Merry Christmas, the Smiley Building custodians, and Annie’s Orphans, among others. Durango Montessori believes that there is so much to learn outside of the four walls of the classroom. Although key lessons are provided regularly in the classroom, our teachers commonly pursue applying those lessons in a rich environment outside of the classroom. Field trips are common during the school year and children are encouraged to develop confidence, grace, and courtesy among community members that they meet in Durango and the surrounding area. We also invite guest speakers and community leaders into our classrooms to provide opportunities for our children to meet new individuals and gain a comfort level when interacting with all types of people. One example of this is our annual science fair, during which all DMS children produce, display, and convey evidence of understanding the scientific method by speaking to scientists and other science oriented individuals who have been chosen to help out as our science fair judges. What about testing and assessment? Teachers understand that there are many ways to assess how a child is progressing during the school year, including teacher observation, informal assessments, teacher created tests, curriculum assessments, standardized tests, and homework. Additionally, as children grow older they meet 1:1 once a week with a teacher for a student-teacher conference to show evidence of the work that they have completed for the week that relates to their lessons. Following this meeting, parents are provided with a summary of how the week has gone for their child. Durango Montessori realizes that test taking is a common expectation among middle school and high school students. Test taking is an acquired skill to be learned and practiced, so teachers prepare children to be effective test takers by helping them to recognize and diffuse test anxiety and stress related to the test taking experience. Additionally, teachers assist children to understand their own best learning strategies, style, and preferred learning environment so that they can practice being their own best advocate for academic and personal success. Once a year children engage in the Iowa Test of Basic Skills (ITBS) beginning when they are in the third grade. This test typically takes 2-3 mornings, and it is a standardized test used throughout the nation. This provides parents and teachers one of many pieces of evidence to understand how a child is progressing academically. 1. provide a bridge for communication and collaboration among the teachers, the parent, and the child regarding what is being studied at school, 2. provide an opportunity for children to practice skills at home that they need extra time to gain proficiency with, 3. provide children with a chance to practice being responsible with homework by learning how to take a homework folder home, plan blocks of time to do homework balanced with other after school activities, and then remember to pack up their homework and turn it in to their teachers on time. Does DMS offer after-school programs? Our school does not offer any after school programs, however, the Smiley Building, where we are located, has a rich array of talented instructors who are available to provide after school and summer activities to children. Options include movement and mindfulness classes, guitar and violin lessons, piano lessons, and a yoga art camp. Additionally, when there is an interest and parent volunteers are available, Durango Montessori has formed a Destination Imagination team. For more information on classes available at the Smiley Building take a stroll around the halls and check out the different programs being offered. Does DMS have any food related polices? 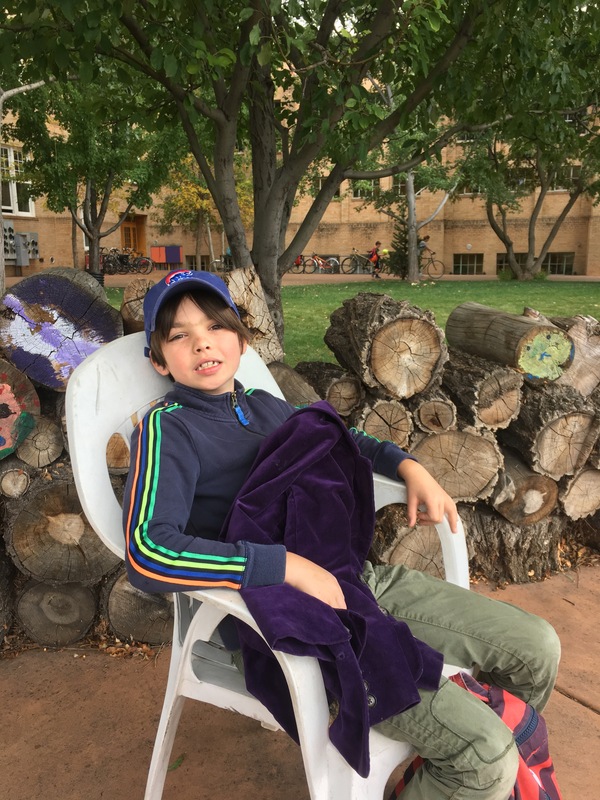 Yes, due to the number of children at DMS who are experiencing significant health related issues due to peanut and tree nut allergies, Durango Montessori is a nut aware school and is encouraging parents to assist their child in packing nut free lunches. If a child absolutely must eat nuts for their diet, then that child will need to let a staff member know on the day that they have nut products with them, and the DMS staff will guide them through the proper procedure for eating food with nuts at school. That procedure includes: not sitting next to another child who has a nut allergy, washing their hands immediately after eating, washing the surface that the child has eaten on. We understand that it is difficult to avoid food processed in a facility which processes nuts, resulting in warnings such as: “may contain traces of nuts” or “is made in a facility with nuts” and do not expect children to report these types of foods to the staff. You can download our nut allergy policy as a word document by clicking here. Contact a director, Michelle Herringer, michelle@durangomontessori.com or Mary Polino, mary@durangomontessori.com. Phone: (970)769-3590.